Nieves performed construction work and was a musician. His sons followed in his footsteps and also became musicians. 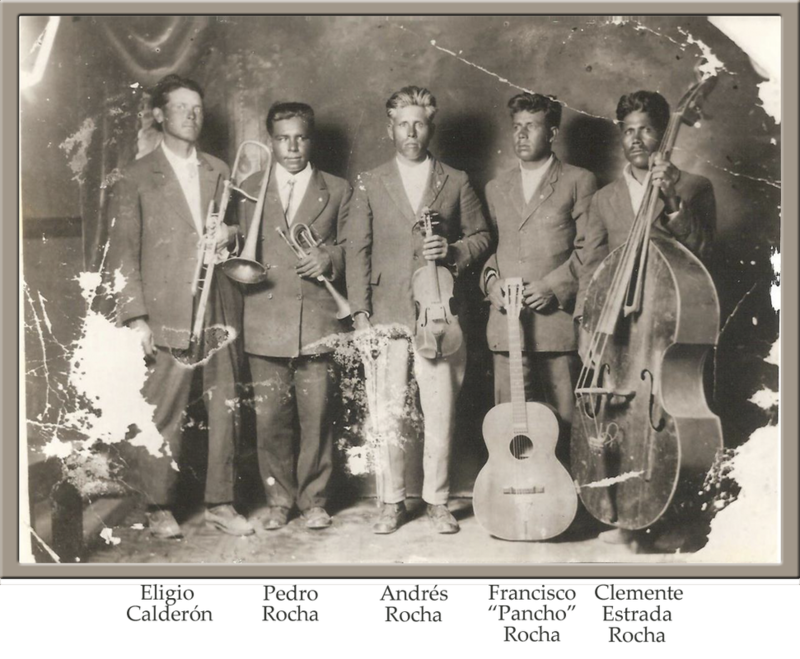 In 1895 they immigrated into the United States and lived for about 18 years in Terlingua where Nicanora, Pitano, Catarina, and Antonia were born. Their family servant Juán López was born in 1864. On October 30, 2012 Eulalio Rocha sent a comment form to Familias de Terlingua with information on the Rocha family in which he informed us that some time After Antonia was born in 1909 -- probably close to 1918 -- the family moved from Terlingua to Marathon. two of their children were buried in Terlingua area cemeteries. The family requests your help in looking for the burial plots of Pitano Rocha and Catarina Rocha. Eulalio and Alicia Rocha, Ron and Jane Payne, and Louisa Franco Madrid.This page was created on February 2, 2014. This page was last updated December 12, 2014.